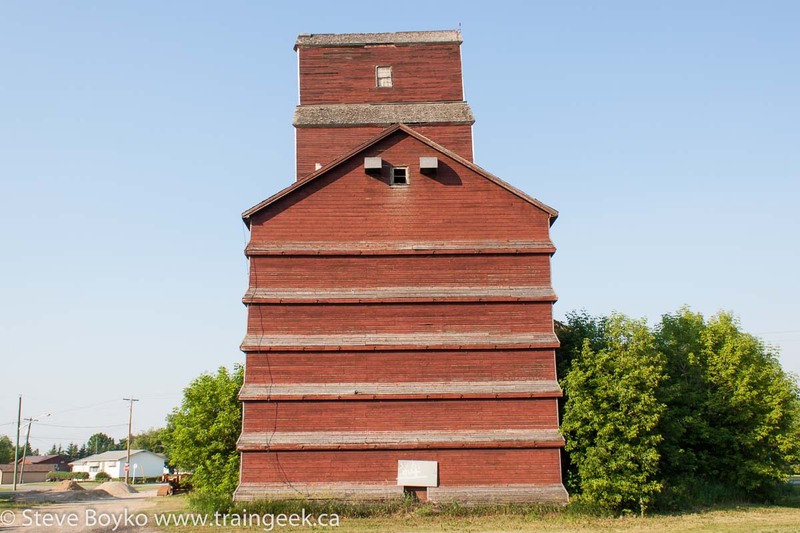 This post is part 5 of a series featuring the grain elevators of northwest Manitoba. Please visit here for the first of the series. 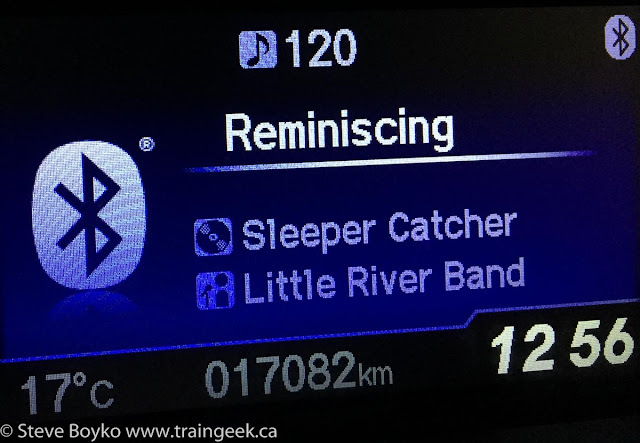 After Birch River, it was time to head east and make my way home. I had three elevators left to capture, with Ethelbert being the first. 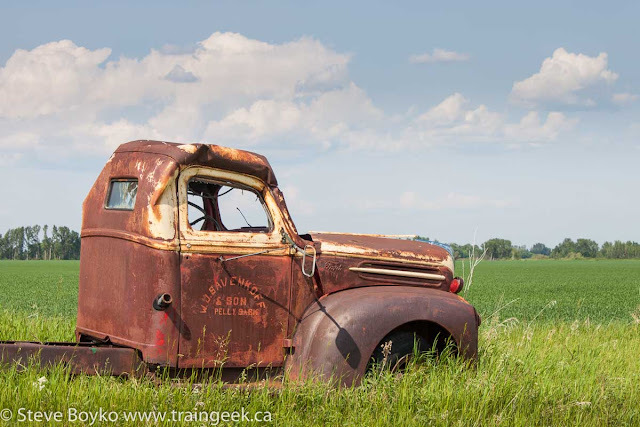 On my way to Ethelbert, I saw these two lovely old vehicles set up on the side of the road. Someone seemed to have placed them just for their picture value... I appreciate that! It took a bit of careful positioning to keep the power poles out of the shot. Shortly after that, I stumbled across the Louisiana Pacific OSB mill near Minitonas. The mill is very close to the end of the former CN Cowan subdivision. There's a crossing by the mill at mile 84.03 and the line officially ends at 83.5. You can see a pair of tank cars parked on that last 0.53 miles. The mill itself is pretty large. As far as I saw from ground level, and later from Google's satellite view, the facility has a double-ended siding that runs through one of their buildings, as well as a short spur for car storage. 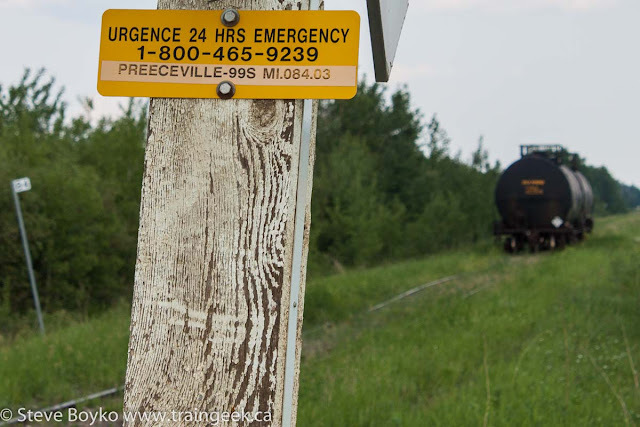 In this photo you can see some cars "on the main", with the siding branching off in the foreground and about a dozen boxcars stored on the spur in the background. 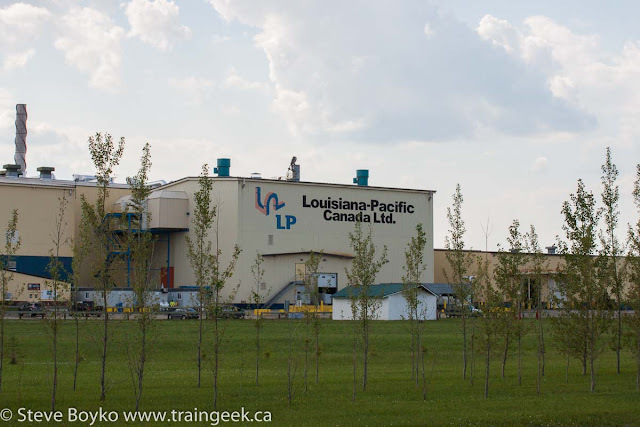 I understand that Louisiana Pacific is converting this mill to make SmartSide wood siding and adding about 40 jobs, so that bodes well for the survival of the railway here. I did not linger for more than a couple of minutes, as I had a schedule to keep and I was slipping! After passing through Cowan, and grabbing an ice cream from the corner store there, I carried on to Ethelbert. 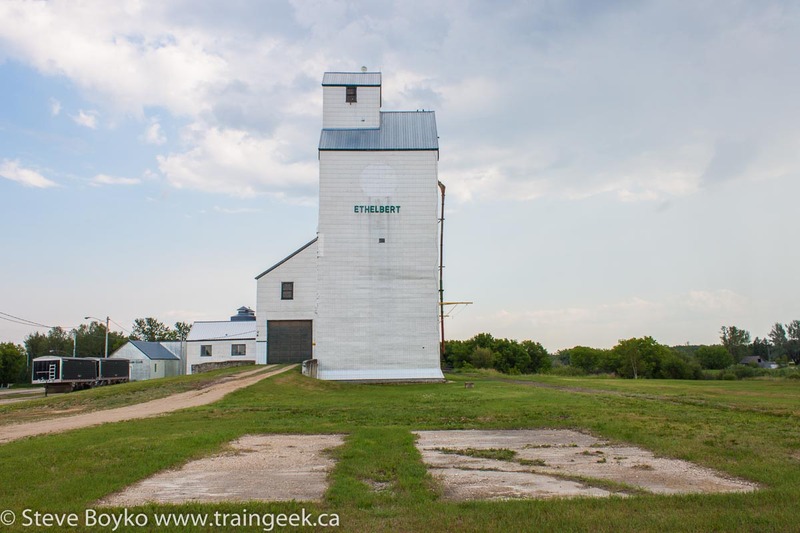 The town of Ethelbert has a single grain elevator, a former Manitoba Pool/Agricore elevator with a large annex. This is actually the "B" elevator, as there was an "A" elevator at one point. The foundation appears to be still in place. Note the difference in lighting. The first Ethelbert photo was taken later, after the sun came out to play. It sure makes a difference having the elevator lit up! 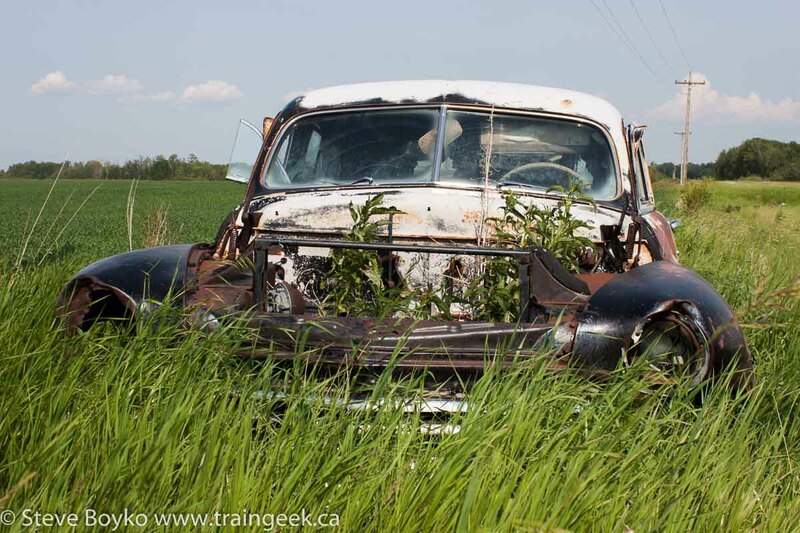 Ethelbert was on the CN Cowan subdivision. A November 1922 article in Canadian National Railways Magazine notes that Ethelbert had a 6.75 million Imperial gallon water reservoir to supply water for steam engines, since many Western towns did not have abundant water like mountain or eastern towns. The article is reprinted in the May-June 1993 Canadian Rail (PDF). 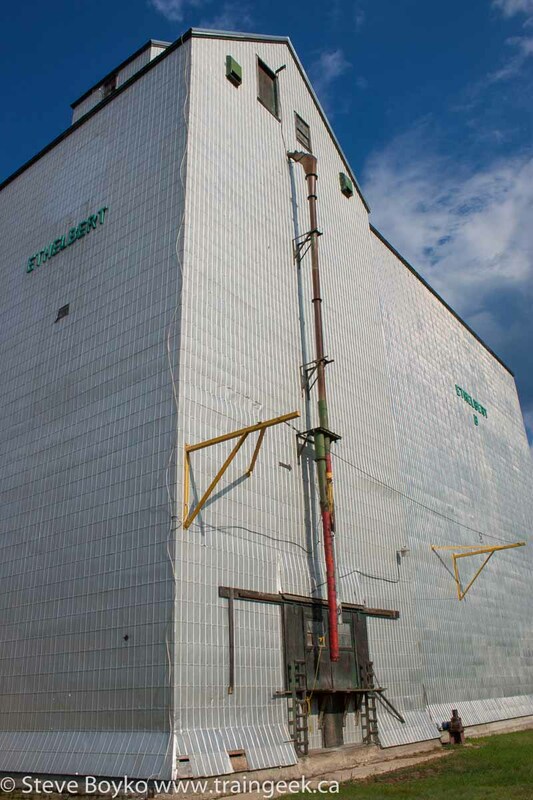 The elevator was listed in the Canadian Grain Commission's list through 2001 with a capacity of 4,550 tonnes. 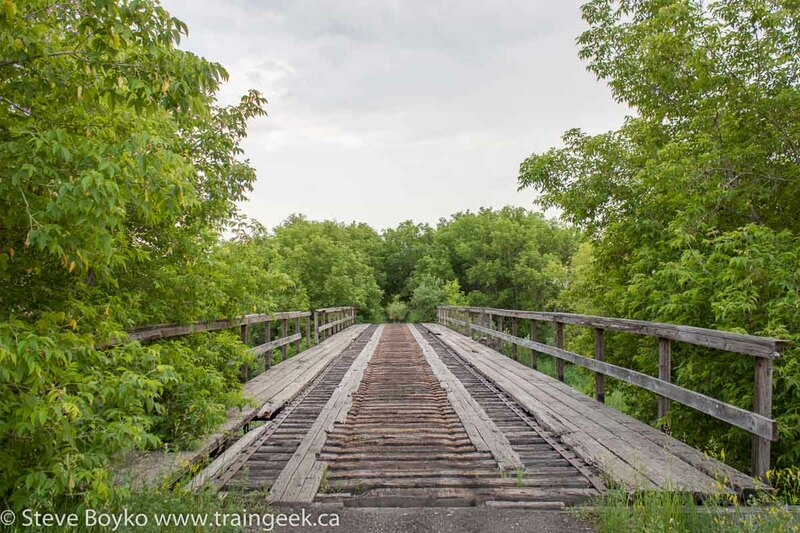 There is an old railway bridge near the grain elevator. I photographed it but I didn't dare step on it... it could use some work. After photographing the elevator, and a couple of churches in the town, I carried on toward Winnipegosis "cross country". 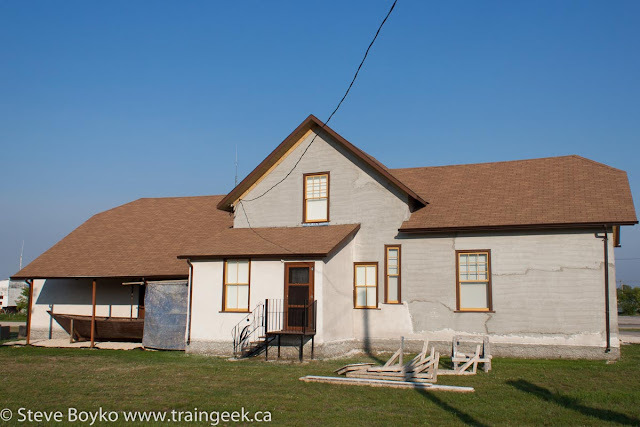 I quickly discovered an old annex on private property just outside town. 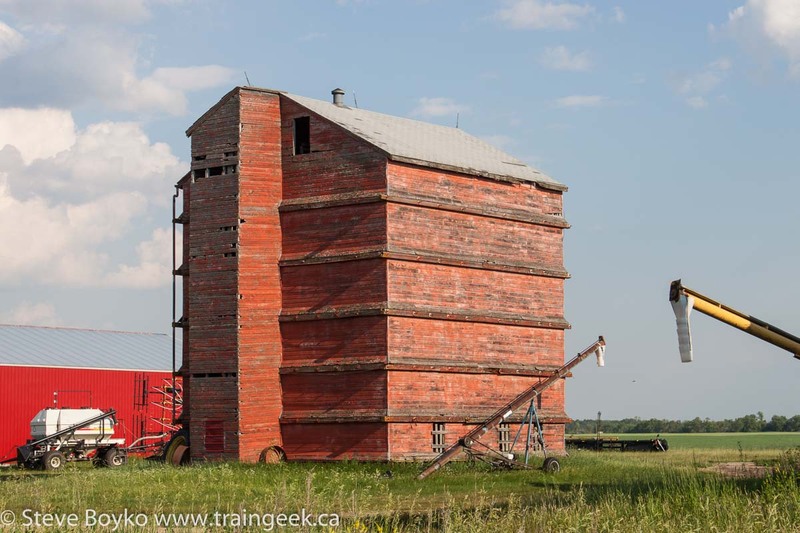 This wooden annex may have belonged to the "A" elevator in Ethelbert. 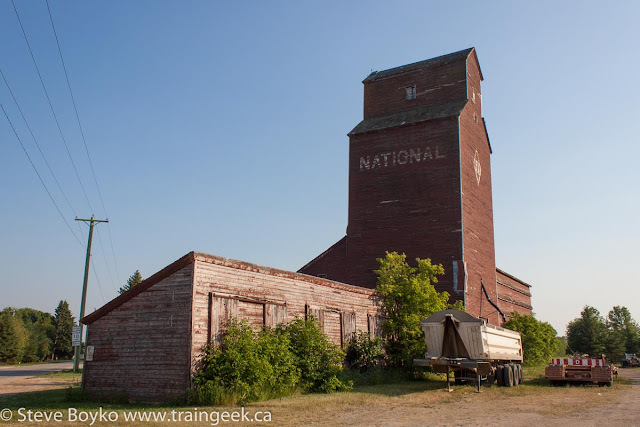 The National grain elevator in Winnpegosis is a nice-looking structure. It consists of the elevator plus a low balloon annex. The elevator itself has developed a bit of a lean. There is a low shed on the other side of the elevator, which apparently was for selling coal and perhaps other commodities like fertilizer. 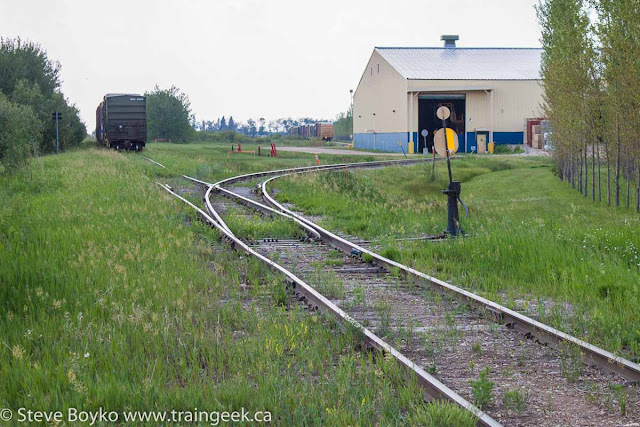 There is a train station in Winnipegosis, down by the marina at what was once the end of the CN Winnipegosis subdivision. It looks like it is being restored. This station is a Canadian Northern 3rd class "type A" station. 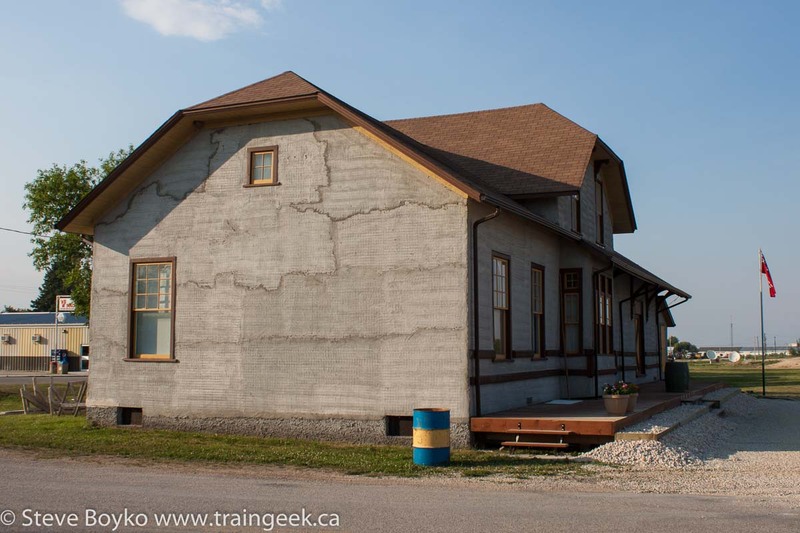 When I first wrote this post, my research indicated that the station was designed by Ralph Benjamin Pratt, a prolific architect and designed many stations and other buildings in western Canada, including the Prince Edward Hotel in Brandon, the Winnipeg Civic Auditorium, and the Virden CP train station. The railway reached Winnipegosis in 1897. CN used to run a Dauphin-Winnpegosis mixed train service well into the 1970s until they were permitted to drop it in 1977. Like many prairie branch lines, service declined and the CN Winnipegosis subdivision was abandoned in stages, with Winnipegosis losing service around 1983 and the last vestiges ending in 1997. 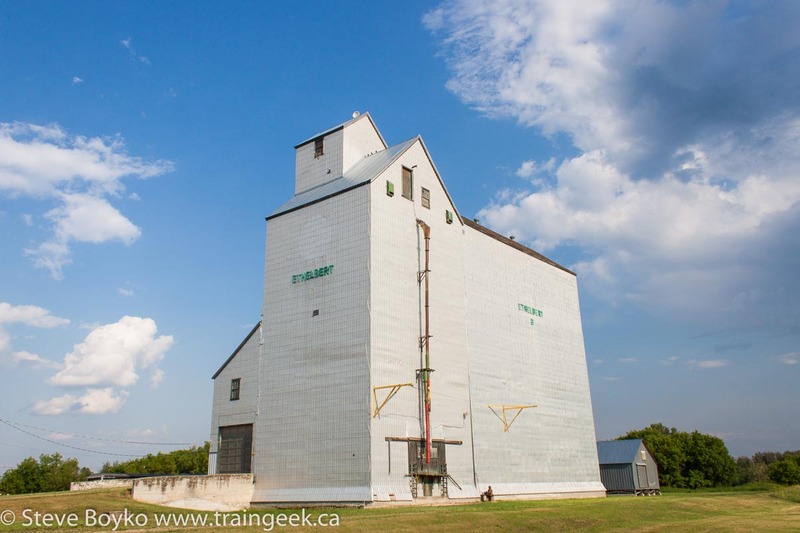 Compared to Winnipegosis, Fork River's elevator looks very modern and well kept. 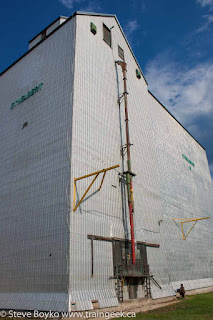 The entire elevator is clad in new-looking siding. Note the lack of a spout on the track side. I imagine that was removed when the siding was redone. The Fork River grain elevator was a Manitoba Pool Elevators structure, with a capacity of 2,070 tonnes in 1998. More details here. 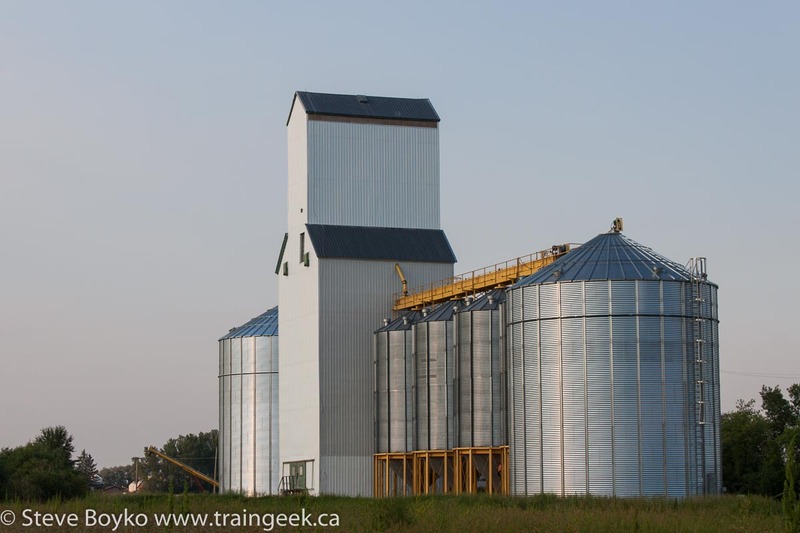 Here's a long view of the area showing the various bins around the elevator. I took my last photo of the Fork River elevator at 8:23 PM, and it was time to head home. By this time I was on the road for 17 hours and 40 minutes... I was a little tired. I picked up some fast food and gas in Dauphin and carried on south. I stopped at McCreary to grab a couple of photos. I carried on to Neepawa and Portage la Prairie. I remember seeing the headlights of a CN train leaving Portage, but by that point I just wanted to get home, so I continued on the Trans-Canada to Winnipeg and home. I arrived at home at 12:56, and after stumbling into our house, I went to bed, reminiscing about another great trip. I have two more posts to write. One will features interior details of the grain elevators at Inglis and the other will show some of the churches I photographed on my way through northwest Manitoba. As always, thanks for reading and thanks for commenting.. I really appreciate it. 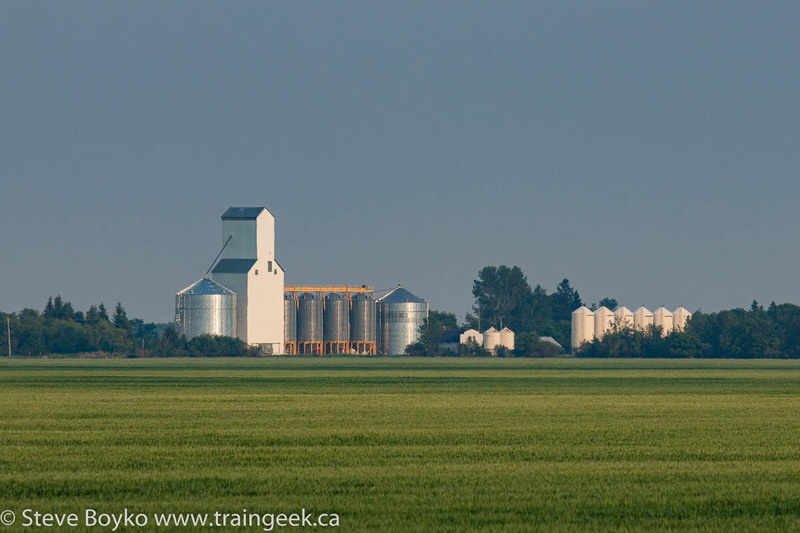 Wonderful finale for your grain elevator series. Too bad that's the end. 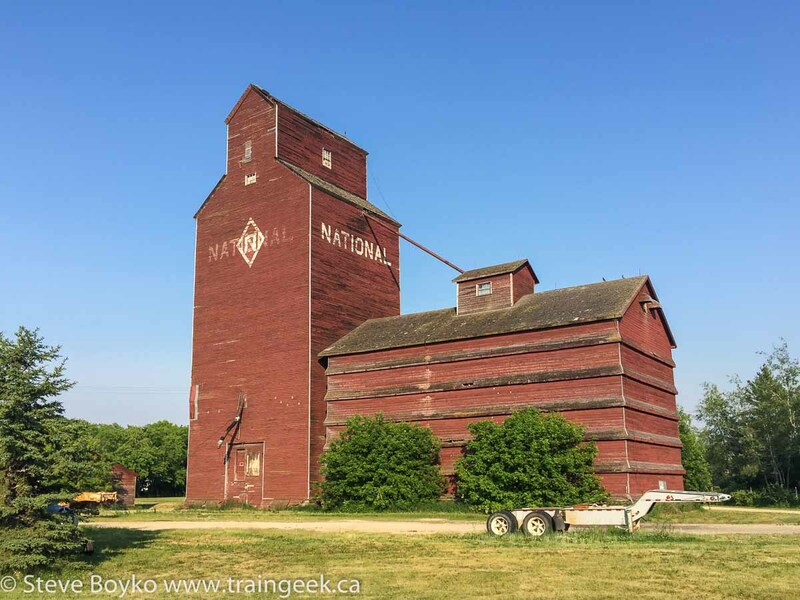 Love the National elevator in Winnipegosis. Did you happen to get any other shots of the elevator, especially that shed? Would love to see more close ups and how it was joined to the main elevator and the loading doors. Just so much character from the Winnipegosois elevator. 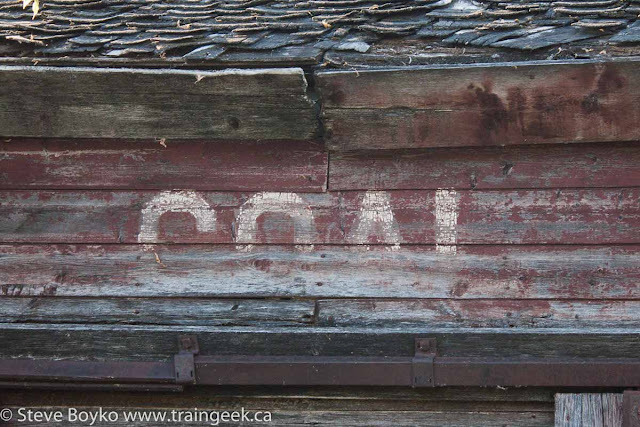 Sure hope that shot with the attached coal shed makes it to the 2016 elevator calendar. Just wonderful, made my day. Thanks for this elevator series. One more thought.....too bad that semi end dump trailer and other equipment was in that shot! Hi Busman, thank you very much for your kind comments. 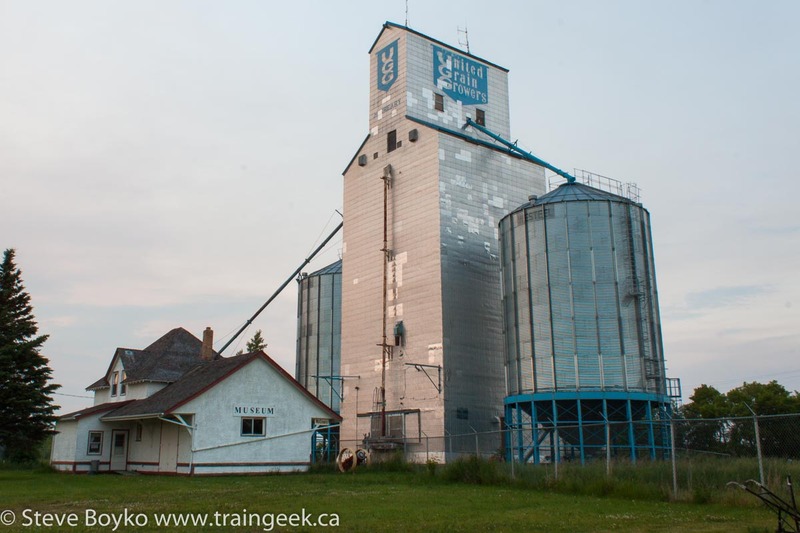 The Winnipegosis elevator was definitely one of the highlights of the trip for me. 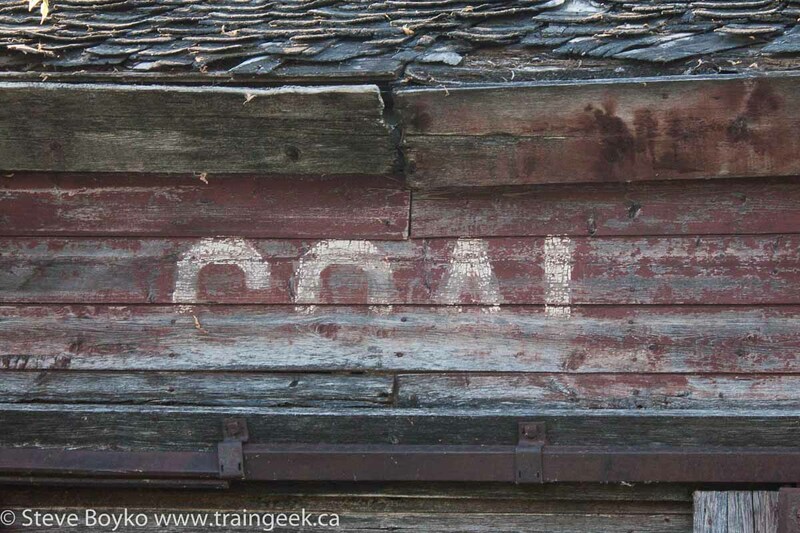 The coal shed is not attached to the elevator at all. You can just see a bit of it in the first Winnipegosis photo and you'll see there is a gap of maybe 15-20 feet between them. I went to Google street view and found that the camera car had pretty much done a 360 degree rotation around the entire elevator and sheds.....so I was able to gather a much better look see at the other side of the buildings. I used to trace a CN boxcar that was regularly loaded at the Minitonas plant. Great series, Steve! Great series of posts. My wife and I took VIA from Winnipeg to Churchill and return earlier this summer. I was surprised how few elevators remained along the lines on the prairie portion of the trip. Sad to see them go - I photographed a lot of elevators in North Dakota during the 1990s.